Plating Color: 18k Gold + Silver + Rose Gold Occasion: Anniversary, Engagement, Gifts, Wedding, Etc. The Pendant made with handmade pearl shell enamel. Plating:18k gold bottom+ silver badge. 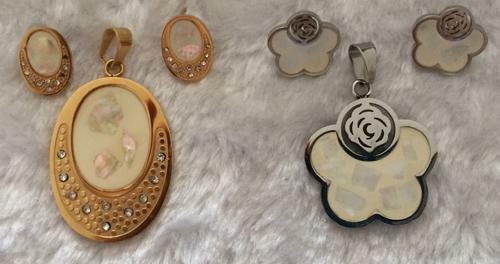 Hot Tags: Flower Pendant Set, Oval Pendant Sets, Enamel Pendants Sets, Flower Shape Enamel Stainless Steel Pendants Sets.